So, this half term has been a complete wash out and despite my love of camping I have been so glad we didn't book any campsites. But, I am being optimistic and looking ahead to the summer - that is surely hiding just around the corner - and preparing myself for not just camping with the children but also doing some festivals! I am by no means an experienced festival goer, having only just discovered them a couple of years ago, but from what I have seen so far I love them, as do the children. The last two summers have seen us packing up the car and heading down to Lulworth for the family friendly Camp Bestival. Click here for my 2011 review. This family festival ticks all the boxes for the parents and the kiddies - although it does whack the wallet rather hard with adult tickets around the £180 mark. There is however loads to do across three full days. But this year I am trying some new, smaller and cheaper festivals with the children. The first one I have planned is Penn Festival, Buckinghamshire July 6-8. This small, boutique festival will be a first for me in different ways: I have never been before and I am taking the children without the husband - instead taking a friend and her daughter for their first festival experience. The festival is set in the grounds of The Big Park, Penn, Buckinghamshire and is a safe, secure environment for the kiddies to run free and let off some steam. I'm looking forward to seeing some old skool acts from my younger days including Soul II Soul, Snap and Rozalla - yes, I will be packing glowsticks aplenty alongside the children's ear defenders. As well as the music there will be plenty to keep the children busy in the day with the BigTopMania Circus Tent including Circus Skills Workshops, Crazy Bikes, Crazy Inflatables, Trapeze Workshops, Family Circus Shows, Big Balloon Disco, Big Bubbles (with kids inside! ), Stilt Walkers and Clowns. Not to be outdone by the children I have booked myself on a hoop making workshop with Romany from Blooming Loopy and will hopefully be learning soom hula hooping skills. I will be reviewing this festival for the FestivalKidz website - a great starting point if you're not sure which festivals to try out with your family. I will be taking plenty of pictures to share with you and will obviously have to sample the variety of food stalls and bars, all purely for review purposes of course. If you like the look of this festival tickets are a wallet friendly £53 for the weekend for adults, £23 for 12-16 year olds, family ticket £128 and Under 12s free. Disclaimer - family tickets will be provided for me for review purposes. This looks great! Unfortunately it falls on DD's birthday weekend so we can't make it but definitely one for next year's diary. 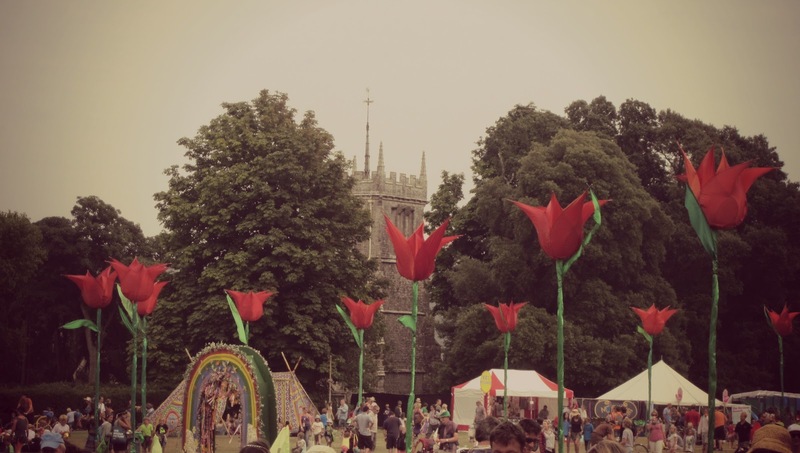 Are there any other toddler friendly festivals you'd recommend this summer? This is something I'm really looking forward to doing once the little ones are old enough. I've never done a festival as an adult but love the idea of some of these family friendly ones and the fact that there are so many now. The Llama festival is supposed to be pretty good for families I hear. The more I hear about Penn the more I am intrigued. Am looking forward to your review! The Just So Festival in August - near Leek in Staffs is amazingly fantastic, we went last year and loved it so much we booked there and then to come back this year! we have to get the ferry over from Ireland so it is no small task! But it is a smallish ( 5000) kids and "their grown ups" festival with lots of music ( no big names but lots of very entertaI took daughter age 6 and son age 4 last year and camped for 4 days and it is truely wonderful and safe and free to explore and no hasstle and no worries! look it up!! We are doing Penn for the 1st time this year with our two boys under 5 plus lots of friends and family & its only a 10 minute drive from our home so think we will be using local taxi services! Can't wait! 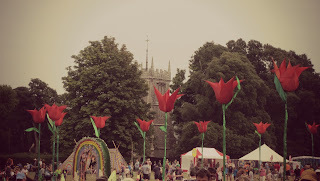 We also did Towersey Festival near Thame, Oxon last year for the 1st time just for the day and that was v good too! See you at Penn Fest!